Midleton will host a nine-hour spinathon in aid of Cork ARC Cancer Support House on Saturday, 22 July. 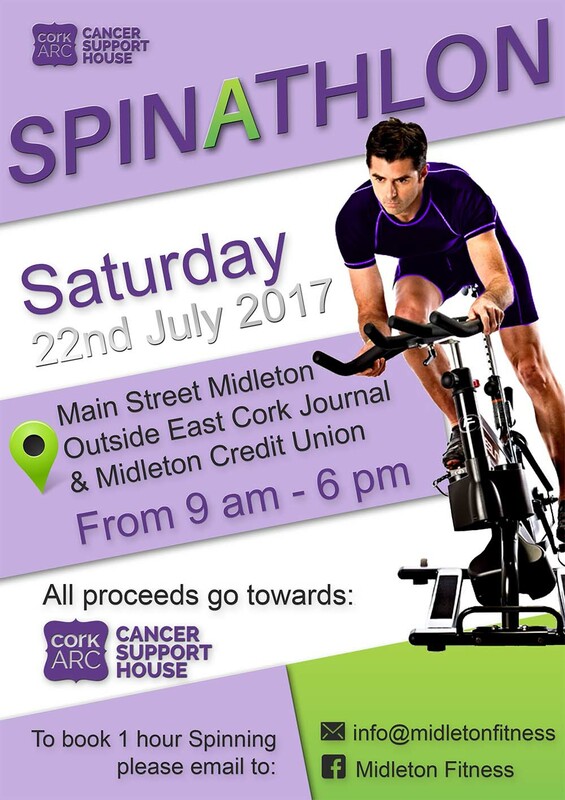 The spinathon will takes place from 9am-6pm and will see three stationary bicycles placed outside the East Cork Journal office on Main Street, Midleton with another three placed on the opposite side of the street in front of Midleton Credit Union. Those curious about getting involved only need to show up and cycle for an hour; funds will be raised through collections during the day rather than through sponsorship cards for the cyclists. Currently there is space for almost 50 cyclists on the day, as no one is yet cycling for more than an hour. 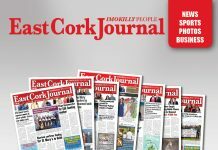 The proceeds from the day will go towards the general running costs of Cork ARC Cancer Support House, which was set up in 2001 to provide emotional support and practical help to people with cancer and their families. Recently a new support centre opened # at Friar Street, Youghal. This centre offers different support services such as touch therapy, counselling and support groups and is open every Wednesday between 10am-4pm, with cancer patients and their families welcome to call in without an appointment and speak to a trained listener, or to do similar over the phone on 024 91 654. Anyone interested in volunteering for the spinathon can contact the organisers through Facebook at Cork ARC Cancer Support House Supporting East Cork & West Waterford.